There has been a lot of talk about the west side of Newport in recent months, with most of the focus on a large swath of vacant land at the confluence of the Licking and Ohio Rivers known as Ovation - a decade-old $ 1 billion mixed-use development project that never got off the ground. The site is the talk of the town on both sides of the river these days as FC Cincinnati kicks around possibilities for its hoped-for stadium that would be needed if the popular club is to land a spot among the elite Major League Soccer. With stadium sites in Cincinnati's Oakley and West End neighborhoods running into a variety of issues, Newport's Ovation is seen more often as a favorite than a longshot to land the project. Officially, the City of Newport knows nothing about FC Cincinnati's plans. City leaders have said all along that there have been no serious talks with the club, and team president and general manager Jeff Berding said that is because all the necessary steps for pre-development work in Newport are completed already: the site is open and available, and a tax increment finance (TIF) district established specifically for Ovation is controlled by a private developer, Corporex. There is no need to get the government involved, yet. "We have not heard anything from the soccer club," said assistant to the city manager Larisa Sims. She was one of four panelists at a packed Newport Business Association meeting Wednesday morning at the city building on Monmouth Street. "They are very engaged on the Cincinnati side at this time, but our site is still on the list and that is all I know about that." Sims said landing a soccer stadium would be "a great catalyst for the Ovation development" but that the city would want more than a sports destination to cultivate progress. "The city won't get a lot of money from the stadium. We get our money from payroll taxes and businesses and employees," Sims said. Plus, a tax cap on salaries means that even if the soccer players make exorbitant sums, their contributions to the city's coffers wouldn't be all that significant. So, alternative efforts move forward. "We will continue to work with the property owners to develop opportunities for that location," Sims said. Regardless of FC Cincinnati's real estate pursuits, a movement is afoot to bring the west side of Newport up to par with its east side neighbors, where the streets are lined with restored Victorian manors that have become a tourist attraction during events throughout the year. But while the East Row experienced its resurgence, the West Side suffered. That appears to be changing with residents, developers, and businesses buying into the newly crafted phrase, "Invest in the west". Most notable is New Riff Distilling's new "Whiskey Campus", visible from the 11th Street Bridge. Owner Ken Lewis participated in Wednesday's panel detailing his company's plan for that site. But others are jumping in, too. Albert Fedders "took a leap of faith" after twenty-nine years with another construction company, to branch out and start his own. Fedders Construction is improving its new home - a sprawling run-down historic warehouse at the foot of the 11th Street bridge. "I wanted a community, not just a home," Fedders said. With projects underway in Richwood and Maysville in Kentucky, and Hamilton, Oh., the new home in Newport is centrally located. "The building has a lot of cool character and a lot of historical value," he said. "I wanted something to grow into and to bring back the historical value. This gives me plenty of room to grow." In fact, the building gives him too much room; he's only using a quarter of it. An IT firm will be joining him on site. Another historic office building has a new tenant, too. 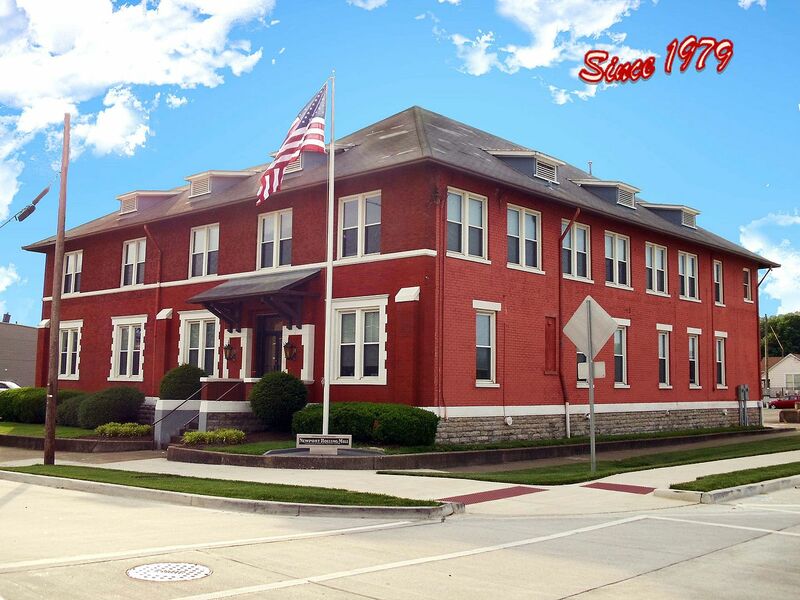 HAL-PE Associates Engineering Services is now comfortable in its renovated home on West 9th Street, a former office to an old mill along the Licking River. The company moved there from Covington where it had operated since 1979, lured to Newport by the attractive building and ample parking. "Parking is everything," said Dean Gosney, HAL-PE president. "I feel sorry for some of the businesses on Monmouth because I know it's tough, but in the west end, we've got some parking." Brian Malone recently purchased a building on West 11th Street that was home to Nie's Shoes since the 1930s. The building was full of thousands of shoes, and Malone said, but it will now be renovated to be a good fit for new commercial tenants. "What I found was basically a time capsule," Malone said of the building. The sellers had been liquidating their product and that concerned Malone that the building faced an uncertain future. "I couldn't bear to see the building town down." His plans call for preserving as much of the historic character as possible, both inside and out. Once the building is cleaned up, he'll host an open house, likely in May, he said. The western side of Newport holds a significant place in Newport's commercial history. York Street was the original commercial corridor for the city, not Monmouth, said Scott Clark, the City of Newport's historic preservation officer. A pair of new historic districts are in various stages of the bureaucratic process. Such designations benefit developers and homeowners in the form of tax credits when properties are restored. "We are already seeing a lot of investment as people see the benefit of the local overlay (zone), especially with the East Row as a model," Clark said. He added that the city also hopes to extend its River Walk plaque project into the western part of the city. The plaques note events and people from Newport's history. And while there are ambitious undertakings in progress, the West Side is not without its challenges. Jeanne Schroer, president and CEO of the Catalytic Fund, which has been instrumental in many residential and commercial projects in Covington and Newport, said that there is plenty of land and space for developers all across the Northern Kentucky River Cities, including Newport's western edge. The problem is, not much of it is development-ready. "One of my overall views of Newport and all of the River Cities is that if sites were available and ready to develop, they would be developed now because there is so much demand from residents to live in an area like Newport, and for businesses to be located here," Schroer said. "What holds us back is development-ready sites." 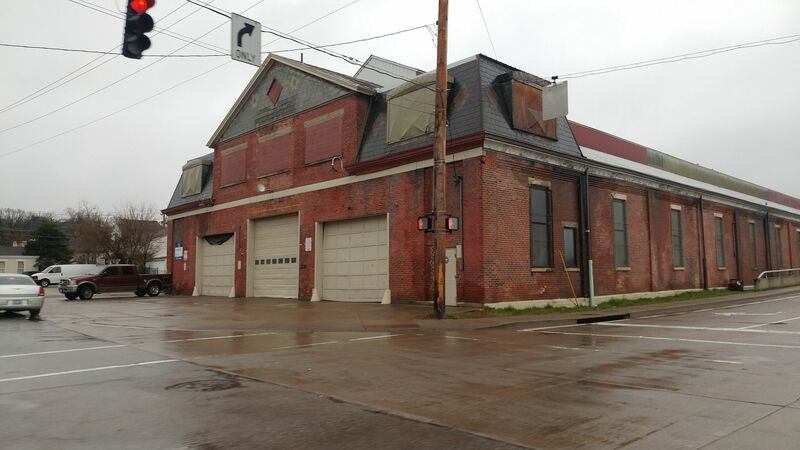 "A lot of people will look at Covington and Newport and say, Why are these sites vacant? That must mean there's no demand. It's not that there's no demand. It's that they are not development-ready."